The Costa Brava offers crystal clear waters, a wonderful coastal path, beautiful countryside and friendly seaside villages. 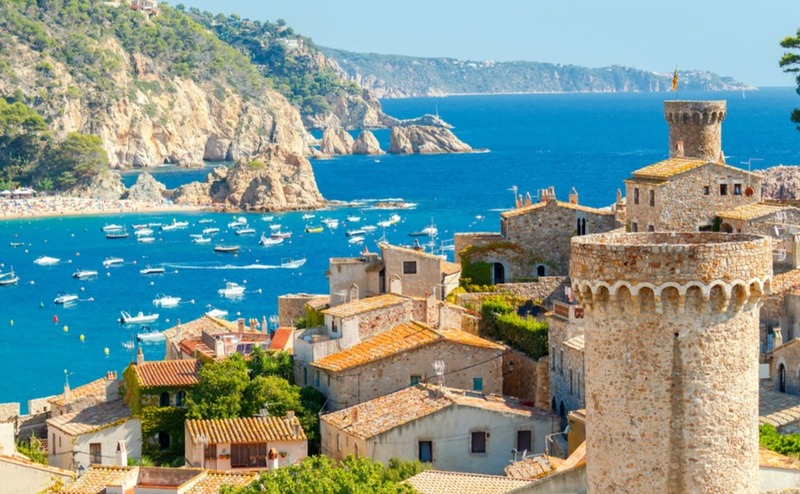 I have written about several of Spain’s wonderful coasts but this article is closest to my heart as I have been living here on the Costa Brava for almost 11 years. The climate allows for all the seasons, though the winter months can be mild and wet. You won’t be swimming in the sea 12 months of the year, but you could go skiing in winter and early spring as the beautiful Pyrenees serve as a stunning backdrop to many of the Costa Brava’s best locations. The coast is divided into the Alt Empordà nearer to France and Baix Empordà closer to Barcelona. They differ in landscape and terrain so this week we are covering the Baix Empordà, travelling up the coast from the south to L’Estartit. Starting from the south, the first two seaside towns you will come to are Lloret de Mar and Tossa de Mar. 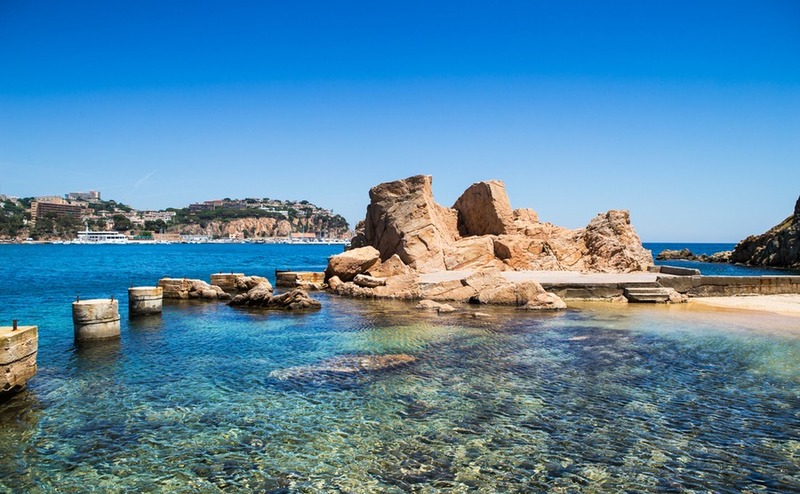 Since tourism is largely seasonal on the Costa Brava, both these towns offer fine beaches and comparative tranquillity in the autumn, winter and spring. The local schools are good but if you want your children to go to an English school Barcelona is the nearest place. The centre of Lloret is pedestrianised, with good shopping, and there are plenty of bars and restaurants to enjoy. The summer is hot and at times quite humid. There is a British community in Lloret and life there is very social for those who want it. There are also lovely walks by the coast and inland. Skiing isn’t far away and the town has the Santa Clotilda renaissance style gardens. Tossa de Mar is smaller and arguably prettier than Lloret. Originally a fishing village, Tossa has a lovely cobbled medieval centre and an imposing castle by the sea. The famous Costa Brava coastal walk, the Camí de Ronda, starts here and goes all the way up to France, with a few diversions inland. Tossa, like most of the coastal towns, offers wonderful seafood and there are some very good restaurants to be tried. Tossa’s tourism began after the actress Ava Gardner was filming there in 1950 for the film “Pandora and the Flying Dutchman” and there is a statue of her in tribute. Inland you will find the wonderful Montseny Nature Park, just 35 kilometres away. A pretty town by the sea, Sant Feliu is home to many expats from different countries. The perfect resort for families, many of the apartments and houses are second homes for people from Girona and Barcelona, but there is also a thriving British community. The town centre is car free and there are several delightful walks to enjoy. In fact Sant Feliu has two beaches, the town beach and a larger one in St Pol bay on the other side of rocks that lie to the north. Restaurants and bars front onto both bays and there are some magnificent properties on the edge of town One is owned by Baroness Von Thyssen who has opened a wonderful art gallery next to the old Monastery which lies back from the sea on one of the main roads, once a river. Boatbuilding and cork used to be the two main industries, along with fishing. Nowadays, Sant Feliu is a year-round town with a very attractive promenade, theatre and marina. Purpose built as a holiday town in the 1960s, little remains of the original village but that is not to say Platja d’Aro isn’t worth a look. It is the main shopping centre for the Costa Brava and has all the brands you would expect and more. The beach is long and sandy with many bars and restaurants nearby. It has a good nightlife all year round and in the summer you can enjoy late night jazz on the beach for free. There is a leisure complex with cinema (showing films in English twice a month), bowling alley, night club and eateries. The marina is fairly new and has some charming apartments overlooking the yachts moored below. Once upon a time Sant Feliu de Guixols was the main fishing port in the area. That changed after a row between the king and a bishop (long story…) since when Palamòs is the centre of fishing on this part of the coast, and a real working town. It lies in a huge bay, with a long and pretty promenade which you can stroll along and take your pick of the tapas bars. Palamòs also has a cinema, an excellent market on Tuesdays and several good restaurants. The hospital for this part of the Costa Brava is located in the town and has a very good reputation. Property with sea views are quite expensive but apartments in the town are better value for money. These three seaside fishing villages all lie within the boundaries of the town of Palafrugell and are considered part of the golden triangle on the Costa Brava. They have managed to retain their original charm whilst catering to upmarket tourism. 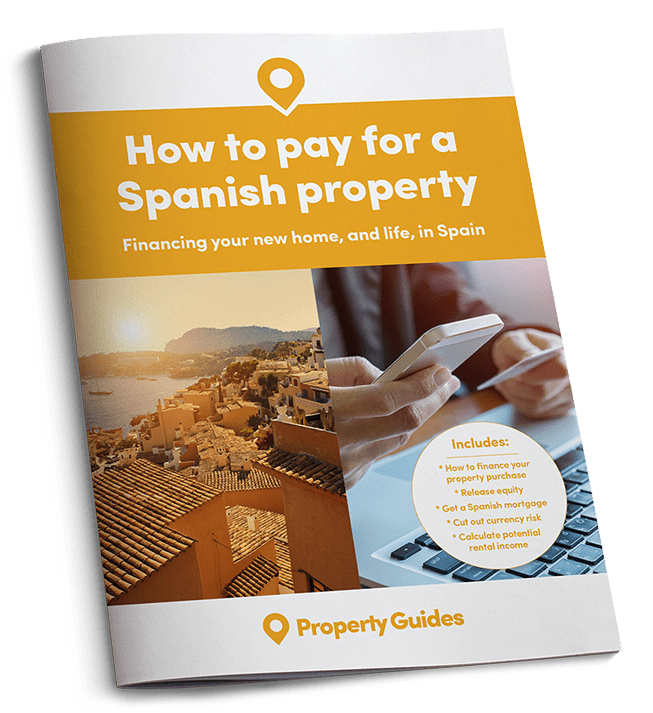 There are some lovely properties located here but they come at a high price compared to Murcia and other regions. 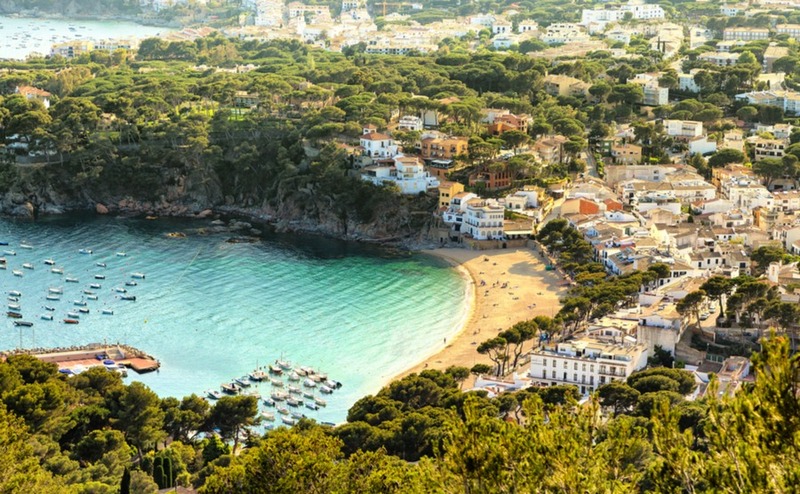 Calella is the largest of the three and has several small beaches, wonderful walks on the Camí de Ronda and some excellent tapas bars and restaurants. Llafranc and Tamariu each have their own identity and offer a more peaceful way of life than their neighbour Calella. The wonderful high rocks give way to little hidden bays and this is the essence of the Costa Brava. However, they are extremely quiet in winter when all the action happens in Palafrugell, a few kilometres inland. Nearby is the beautiful hilltop town of Begur, with wonderful views, a castle and some of the best beaches in the area nestled between rocks. It’s also a bit sleepy in winter but there are some stunning properties. 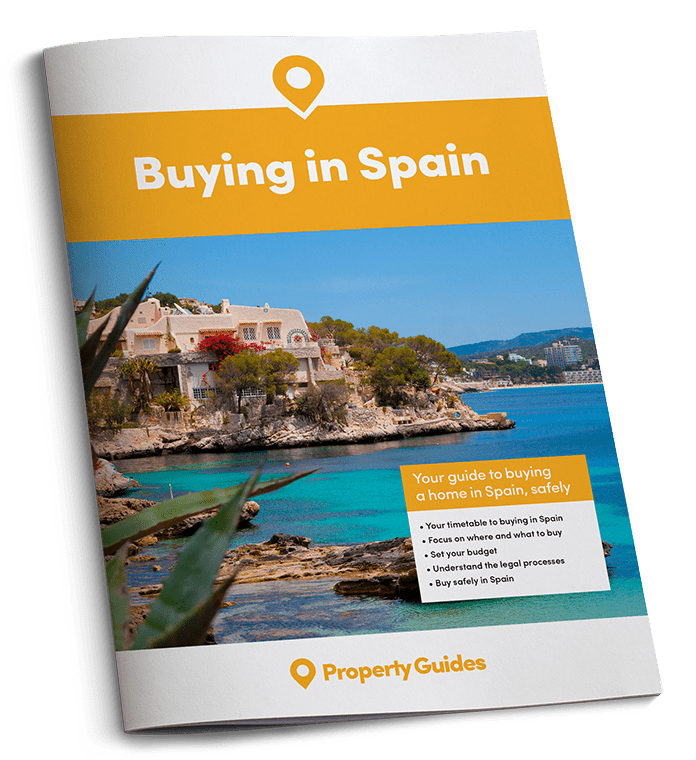 If you are ready to buy in the Costa Brava, check out our hundreds of property listings there. Some 20 years’ ago an enterprising estate agent decided to attract British buyers to this coastal town and its surroundings and now there is a sizeable British community here. The long promenade and fine sandy beach are certainly a draw, with shallow water that are ideal for youngsters. A popular summer resort for families, diving and watersports and the marine reserve of the Medes Islands, which lie a kilometre from the coast and are a wondrous place for sea life, birds and flora. L’Estartit has Dutch, Belgian, French and British bars and restaurants as well as those serving local Catalan tapas and meals. Property here is generally less expensive than in the towns discussed above.